The informative 3-stage online support tool that helps you understand your, your friend or family or your client’s clutter or hoarding problem so you can manage this complex and sensitive situation in the appropriate way, identify suitably-skilled decluttering help and work towards the best possible outcome with confidence, clarity and peace of mind. Thank you for your interest in Understand Hoarding. Understand Hoarding is the specially-designed online support tool that teaches you to uncover the many unhelpful and confusing misconceptions and misinformation about clutter and hoarding, understand the challenging and little-known causes and blocks to clutter and hoarding and make the right decisions for yourself, your loved one or your client in order to get the optimum outcome for your unique situation. This is an overview of the support tool I’ve developed. Who is Understanding Hoarding for? Are you concerned, worried or stressed about the clutter or hoarding problem? Do you feel stuck, overwhelmed or frustrated about a lack of progress with the situation? Are you aware that this is a delicate and complex situation but you don’t fully understand it? Are you finding it difficult to understand or manage the range of challenging emotions experienced by yourself or anyone else who’s impacted by the situation? Are you confused about or mistrusting of some of the information or advice that’s out there? Do you feel the situation is out of control and impacting on your life or the lives of friends, family or neighbours? Do you want to work towards the best possible outcome for all involved? Are you unsure of where to find the right professional help, which professional decluttering skillsets are needed or which questions to ask when sourcing professional support for your situation? Do you want to feel a sense of clarity, closure or peace of mind about the situation? Do you feel your lack of professional knowledge, skills or experience in this area is impacting your ability to provide the best help, support or direction for your client’s situation? If so, this support tool is the vital first step for anyone who wants to declutter. Why did I decide to create this online support tool? Through my 20+ years of doing a wide range of professional qualifications and all my work with individual clients, the media, national and international decluttering campaigns and partnerships and also doing decluttering talks with thousands of people since 2010, I’ve been privileged to share a fresh, inspiring decluttering message and have been in the unique position to get a true sense of the reality of clutter and hoarding today, so I’m best placed to help you! The investment for the Understand Hoarding online support tool is a single, one-off payment of just €99 today. Prefer to pay with PayPal? I expected the information to be very different but I am so positively surprised and grateful for everything I learned. So inspiring!Breda gets it from all sides, this is the key to success. Professional decluttering support and information that’s top of its game. I’m just sorry I wasted so much time trying to research this and figure it all out myself, I could have never gotten this level of insights and understanding myself. So wise, very interesting and motivating. I actually feel there’s light at the end of the tunnel for the first time of years, there’s a great relief in that and I can’t thank you enough. Real, honest but yet caring and understanding. So many people need this perspective on hoarding to move forward in their homes and their lives, I feel we can finally do this now. What will this support tool enable me to do? This online support tool is designed to provide you with a solid yet manageable overview of information and guidance to help you understand clutter and hoarding so you can make the right decisions and take the appropriate action for yourself, your friend or family or your client. It doesn’t cover everything I teach about decluttering in my Declutter Therapy modality and it won’t certify you or equip you with the wide range of knowledge and skills needed to declutter professionally. Note that diagnosing, assessing and working in the homes of serious hoarding client or patient cases should only be taken on by suitably qualified and experienced professionals. For more in-depth and practical information on decluttering your own wardrobe, home and life including personal style, body shape, colour, signature style, capsule wardrobes, self-image, interior design, organisation, storage solutions and selective shopping please see my Declutter Your Wardrobe and Home online course. To learn all the specialised skillsets required to take things to a professional level and master decluttering so you can help others declutter and organise, create a rewarding decluttering business and work with paid clients with confidence and ease please see my The Declutter Academy Professional Certification Training. The Understand Hoarding support tool is an absolute MUST for anyone who is thinking about decluttering or who really wants to help friends, family or clients in their decluttering journey. Will availing of the support online rather than in-person be as effective? In order for me to best support you, there’s a range of unique and specially-developed Understand Hoarding information and tools I need you to be able to access you so you can get the best possible results, and the optimum and most cost-effective way for me to share my relevant expertise and insights with you is to do this via this secure online support tool. If I am not good online will I find it difficult? I promise we make it as simple as possible and if you can open an email you will be well able for the technology! How long will it take me to go through the online support tool? The support tool is the shortest of my online resources but still packed full of the right information to support you where you’re at. You can go through the support tool at the pace that feels most comfortable to you and that works best for your situation – there is no time limit. The principles of the support tool will always be relevant and as you have life-long access to the material you can revisit the Tutorials, PDF Factsheets and Checklists and MP3’s any time you wish. Do you want to make your, your loved one’s or your client’s decluttering as easy and successful as possible? If you want to avoid all the stress and save the precious time, energy and even money that so many people waste in that well worn decluttering cycle of planning-trying-failing, UNDERSTAND HOARDING IS A MUST BEFORE YOU START ANY DECLUTTERING! 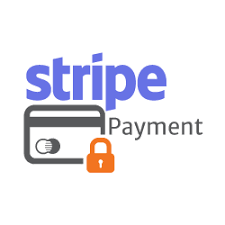 Click on the PAY WITH PAYPAL button below and complete your transaction securely via PayPal. (You don’t need a PayPal account, you can simply pay with a credit or debit card.) Once we’ve received your PayPal notification we’ll email you on the registration link so you can get up and running and access the support tool straight away.